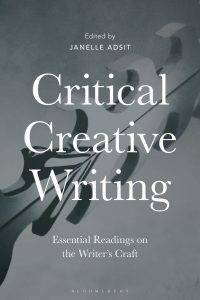 This week we’re celebrating the publication of Critical Creative Writing: Essential Readings on the Writer’s Craft, a comprehensive introduction to the key debates in creative writing today, from the ethics of appropriation to the politics of literary evaluation. Today’s post is from David Mura, whose essay ‘On the Response to Junot Díaz’s “MFA vs. POC”‘ is featured in the collection. In my essay in Critical Creative Writing and in my recent book, A Stranger’s Journey: Race, Identity and Narrative Craft, I assert that the issues of race and identity and the aesthetic traditions of writers of color and indigenous writers can no longer be excluded from the teaching of creative writing. And yet, so often, when writers of color or indigenous writers bring up these issues in classes, they are met with disapprobation and dismissals—“We’re not here to be PC,” “That’s political not aesthetic.” The writer of color may even be charged with attempts at censorship, as if one writer of color possessed the power to silence a classroom of white writers and the white teacher. In A Stranger’s Journey, through close readings and a discussion of aesthetic and pedagogical principles, I argue that such dismissals are specious, narrow-minded, unliterary, and actually run contrary to any principles of creativity. Moreover, the work of writers of color cannot be properly judged or contextualized without a knowledge of both the aesthetics and traditions of writers of color. Richard Wright once asserted that black and white America are engaged in a conflict over the description of reality. Why wouldn’t this struggle extend to literature, which obviously involves descriptions of our reality? But if you as a white writer don’t really know or understand the articulation of the other side of this argument, you cannot, as Baldwin argued, actually know who you are or what America has been and continues to be. But let us suppose that a white writer or white instructor does decide that they want to learn more about the work of writers of color and their aesthetics. Suppose that the white writer recognizes that in our globally connected world, to confine oneself solely to a white understanding of that world is to limit one’s ability to write about that world. Certainly, if you as a white writer are unprepared to investigate the issues of race, ethnicity and identity in regards to your own identity, you’re ill-equipped to write about a multi-racial, multi-ethnic America where, sometime after 2040, no race will constitute a majority, and we will all be racial minorities. Part of the solution here is that white writers must read more widely, and this reading must not only obviously entail literary works by writers of color, but also theoretical and critical works like Toni Morrison’s Playing in the Dark or Said’s Culture and Imperialism; and then beyond this, works which analyze the role of race both in our present and in our past, such as the Collected Essays of Baldwin, the essays of bell hooks, or a book like Stamped from the Beginning: The Definitive History of Racist Ideas in America by Ibram X. Kendi. But reading is not enough; the white writer must step outside their own circle of writers, must expand their social experiences beyond a white bubble (as studies have shown, people of color generally have far more interracial interactions than whites and certainly this is true at universities and colleges). Several years ago, Major Jackson wrote an essay asking why white poets never wrote about race. One of his answers was that most white writers don’t have many black friends. But there is more internal work that also needs to be done by individual white writers. When I was at the Stonecoast MFA Program, I co-taught a class, “Writing on Race.” There we used an excerpt from Thandeka’s Learning to be White: Race, Money & God in America where she talks to white people about the first time they realized their racial identity. At Stonecoast, we did this as an assignment for the course. Often the white students were surprised by what they discovered when they looked back to an event in their childhood, such as inviting a black friend over to their house and then being told not to do that anymore by a parent or other adult. Whiteness as traditionally defined is based on a set of rules, practices and beliefs, which individual whites are often not conscious of and certainly do not investigate. For many white writers in our course, to examine the origins of how they learned those rules, practices and beliefs provided them with a new lens to interpret and contextualize not just their own life, but their family and the society around them. These white writers became more courageous, their work more complicated and ambitious; investigating honestly about race actually helped them to become stronger writers. But some white students resisted such questioning, especially when it was connected to questions about their own writing concerning race and the accuracy of their portrayals of both whites and people of color. Or when it came to realizing that perhaps an individual writer was not as racially aware as they might have thought. Here we arrive at what I believe is most difficult aspect of this journey for white students and writers. For in this journey, you as a white writer must begin to question your own identity as a white person; you must begin to investigate how your own identity and the history of whiteness is intricately and intimately involved with systems of race, how it has shaped the lives of those who are different from you (who generally think and question race far more than the average white writer). You must begin to enter a new epistemology and start recontextualizing who you think you are. The question of identity is a question involving the most profound panic–a terror as primary as the nightmare of the mortal fall. This question can scarcely be said to exist among the wretched, who know, merely, that they are wretched and who bear it day by day–it is a mistake to suppose that the wretched do not know that they are wretched; nor does this question exist among the splendid, who know, merely, that they are splendid, and who flaunt it, day by day: it is a mistake to suppose that the splendid have any intention of surrendering their splendor. An identity is questioned only when it is menaced, as when the mighty begin to fall, or when the wretched begin to rise, or when the stranger enters the gates, never, thereafter, to be a stranger: the stranger’s presence making you the stranger, less to the stranger than to yourself. Identity would seem to be the garment with which one covers the nakedness of the self; in which case, it is best that the garment be loose, a little like the robes of the desert, through which robes one’s nakedness can always be felt, and sometimes, discerned. This trust in one’s nakedness is all that gives one the power to change one’s robes. In America today, we are all strangers encountering strangers; none of us lives any longer in an isolated village, whether we want to or not. And with each stranger we encounter, each person different from ourselves or our village, we must reconsider and reconstruct our identity; we must reassess what we have thought of ourselves and who we are. We must understand that our identity is not only who we think we are; no, our identity must also engage how others think of us. As Baldwin observes, it is terrifying to question one’s identity; it involves at its deepest level a confrontation with our fallibility, our human limitations, our mortality, our nakedness. It requires humility, for only with humility will we be able to learn about and from the stranger and thus about ourselves. In such work, we need more to listen and be challenged, rather than to point to the splendid nature of our robes. And this starts with understanding that there are times when we do not know what we do not know. David Mura‘s newest book is A Stranger’s Journey: Race, Identity & Narrative Craft in Writing, and it argues for a more inclusive and open aesthetics in regard to the issues of race and creative writing. Mura has written two acclaimed memoirs, Turning Japanese (Oakland PEN Book Award & New York Times Notable Book) and Where the Body Meets Memory. He has also written the novel, Famous Suicides of the Japanese Empire, and four books of poetry, including The Last Incantations. His essay ‘On the Response to Junot Díaz’s “MFA vs. POC”‘ appears in Critical Creative Writing: Essential Readings on the Writer’s Craft, now available from Bloomsbury.